RomaniaMagicLand: Happy Saint Nicholas Day! Every year, the evening of December 5th is very important for all children (and not only for them). They carefully prepare their boots (ghetutele), clean them, polish them and place them near the door (and in many houses parents compete with children to do this). 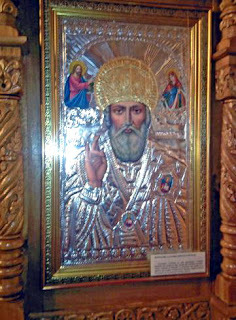 On the night of 5th to 6th December, is told that Saint Nicholas / Mos Nicolae comes on the windows (he was never seen by any person) and leaves in their boots sweets and other presents for any listeners children and silver twigs (rods, nuieluse) for the others, as punishment they are lazy and disobey their parents. The next day, children will find these gifts in their boots. This tradition transform this day in a very important moment of the year, so long awaited by children, but, also, by adults who consider Saint Nicholas Day as a beginning of the beautiful winter holidays. Many legends and stories have been told about St. Nicholas deeds through the centuries. The real Sf. Nicholas was raised by a devout Christian to assist the needy, the sick and the suffering. He was born in Patara, Turkey (at that time was Greek territory) and became Bishop Nicholas of Myra Lycia in the forth century, known for his generosity, love for children and concern for sailors and ships. He died December 6, 343, in Myra and was buried in his cathedral's church and the anniversary of his death became St. Nicholas Day, day widely celebrated in the World and especially in Europe, by Catholics and Orthodox. The stories of his goodness and generosity are still recounted as a great worker of miracles (rescuing murdered children, giving dowry gold or bringing gifts, saving innocents and sailors). 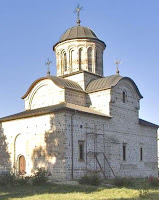 - Medieval church "Sf Nicolas Church / Biserica Sfantul Nicolae" Curtea de Arges (photo courtesy of wikipedia). Basarab I founded this church in 1310-1352, and is considered the oldest princely foundation of Wallachia (inside of the the Royal Court / Cetatea Domneasca). - Sf. 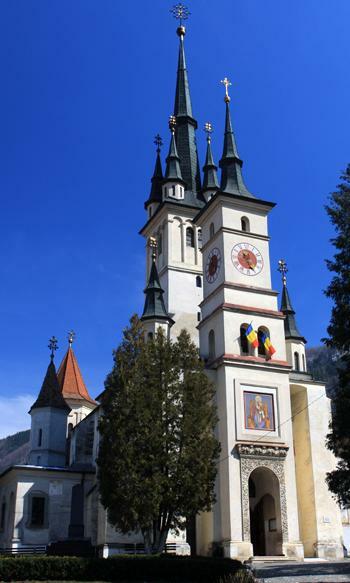 Nicholas Church, Brasov/ Biserica Sf. Nicolae Scheii Brasovului (photo courtesy of fotoromania.net) , dating back to the 14th century, is situated in Schei in "The Union Square / Piata Unirii" - was founded by Vlad the Monk / Vlad Calugarul ( brother with Vlad the Impaler / Vlad Tepes/ Dracula) and Neagoe Basarab. - Royal Saint Nicholas Church / Biserica "Sf. 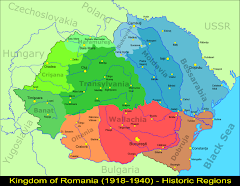 Nicolae Domnesc" Iasi (postcard), was founded by Stephen the Great / Stefan cel Mare between 1491-1492 and it stands for the oldest religious dwelling in "Royal Court / Curtea Domneasca", Iasi, nearby "The Palace of Culture / Palatul Culturii". The people are told that "Winter begins on St. Nicholas Day / Iarna incepe in ziua de Sf. Nicolae". Saint Nicholas is old and has a white beard, and in this day he is shaking his beard, so the time to have snow was coming. 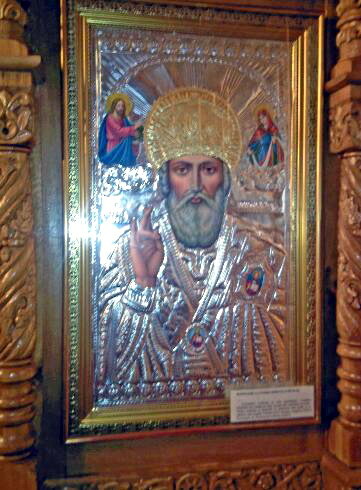 On this day, people says: " St. Nicholas rejuvenated / A intinerit Sf. Nicolae". Over the centuries, many people were named after him. I want to remind one great Romanian physician, Nicolae Kalinderu (1835-1902) born on December 6th, who initiated large studies on histology, microbiology, diagnosis and epidemiology of leprosy together with Victor Babes. 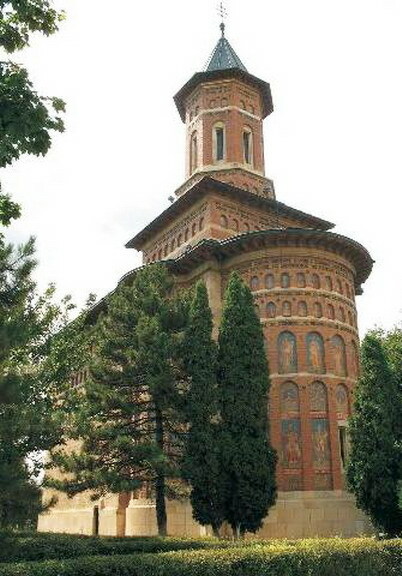 Even he is not so well known, he bequeathed to Romanian people, in 1907, The Museum of Art "Dr. Ioan and Nicholas Kalinderu" from Bucharest, with an impressive collection of Medieval art and traditional Romanian art. May Saint Nicholas's miracles come to your home and fill your life with light, happiness and wonderful presents!